A very hot debate is ongoing on the future sustainability of innovative therapies, particularly gene and cellular therapies (which goes together under the term “advanced therapies”, or ATMPs). The answer might be “No”, according to Goldman Sachs’ report “The Genome Revolution”. 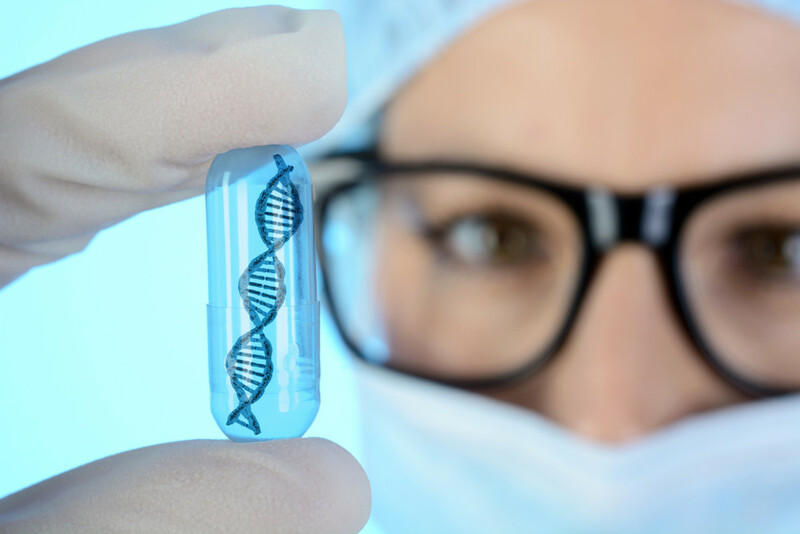 There is a potential $5 trillion total addressable market for genome medicines, said Goldman Sachs analyst Salveen Ritcher, and the social impact is expected to be very high. The problem is that ATMPs – especially gene therapies and in perspective also CRISPR-based gene editing medicines (which are expected to enter clinical trials by the end of the year/beginning of 2019) – are possibly curative and might hopefully resolve many medical issues of the patients. But on the other hand, despite their high prices, these medicinal products are unable to provide recurrent revenues to biopharmaceutical companies as therapies for chronic diseases did. Goldman Sachs’ report suggests three different potential solutions, as reported by CNBC journalist Tae Kim: address large markets such as hemophilia, address disorders with high incidence such as spinal muscular atrophy, or invest in constant innovation and portfolio expansion, for example to treat the hundreds of inherited retinal diseases. At the end of August 2018, Novartis’ first commercial CAR-T cell therapy (tisagenlecleucel, Kymriah) was approved also in Europe by the European Medicine Agency under the Prime scheme to treat pediatric and young adults with B-cell acute lymphoblastic leukemia (ALL, refractory or relapsed) and adult patients with relapsed or refractory diffuse large B-cell lymphoma (DLBCL) after two or more lines of systemic therapy. The approval follows the one in the US in August 2017 for the paediatric indication, followed some months later by the approval to treat DLBCL in adults. Novartis has reported for Kymriah an income of $ 12 million in its Q1 financial results report, and $16 million for Q2. According to the Reuters, the company had initially much higher expectations of economic returns. Novartis said it will continue to collaborate with national health and reimbursement authorities across Europe on a fair, value-based pricing approach that is sustainable for national healthcare systems. A first example of this is the deal closed with NHS England at the beginning of September (see below). In the US, Kymriah for ALL indication has been initially priced at $475,000, providing also an option to safeguard hospitals in case of inefficacy of the treatment. The price for use in DLBCL decreased to $373,000, equal to the one of the competing product from Gilead (axicabtagene ciloleucel, Yescarta), This last one was estimated to reach up to $ 250 million revenues in 2018, said the Reuters. Gilead’s product was launched in the United States in October 2017 and generated $68 million in sales during the second quarter of 2018, according to Gilead’s Q2 financial results. Prices mentioned above refer just to the medicine, and do not include hospitals’ costs for the administration of the therapy and the complex management of patients, that have to undergo preparation and might experience severe adverse effects. According to an estimate published in the July issue of JAMA Oncology, these additional “non-drug” costs for CAR-T cell therapies are about $30,000 to $35,000. Are these numbers correct? Additional costs would be greatly underestimated according to Samuel Silver, an expert from the University of Michigan Comprehensive Cancer Center interviewed by Nick Mulcahy on Medscape, and the total cost for CAR-T cell therapies would be at least $750,000. A first official stop to Gilead’s Yescarta CAR-T therapy to treat diffuse large B-cell lymphoma came at the end of August 2018 from UK’s health technology assessment authority National Institute for Health and Care Excellence (NICE), that published the draft cost-efficacy analysis for the product. The final results of the procedure are expected to be available by the end of 2018. According to the document, Gilead’s product reflects criteria to be considered a therapy able to increase the survival of terminal patients, but cost-efficacy estimates fall outside the range considered normal in order to access the Cancer Drugs Fund economical resources of the National Health Service (NHS). NICE, thus, did not recommended Yescarta to treat new patients affected by DLBCL within the NHS, while the ones already under treatment can continue their therapy. “People having treatment outside this recommendation may continue without change to the funding arrangements in place for them before this guidance was published, until they and their NHS clinician consider it appropriate to stop”, also states the draft report. Just a week after NICE’s decision on Gilead’s Yescarta, the competitor Novartis reached with NHS England the first commercial agreement in Europe to made available its CAR-T cell therapy Kymriah for the paediatric indication. The commercial terms of the deal have not been disclosed; the full UK list price for Kymriah is 282,000 pounds per patient. “This constructive fast-track negotiation also shows how responsible and flexible life sciences companies can succeed – in partnership with the NHS – to make revolutionary treatments available to patients.”, said Simon Stevens, chief executive of NHS England. In the mean time, in April 2018 GSK sold its pipeline of advanced therapies for rare disease to Orchard Therapeutics; the deal is the result of the strategic review of GSK’s rare disease unit made in July 2017, thus confirming the difficulty of traditional pharmaceutical companies to sustain this sort of business model. The British multinational will now focus its pharmaceuticals pipeline on priority programmes in respiratory and HIV/infectious diseases, and on two other potential areas, oncology and immuno-inflammation. But the exit of GSK from the field of rare disease is not complete, as the multinational became an investor in Orchard Therapeutics, receiving a 19.9% equity stake along with a seat on the company’s board, and it will also receive royalties and commercial milestone payments related to the acquired portfolio. Orchard is a UK-US-based clinical-stage biotech company that received in 2015 a $19 million grant from the California Institute of Regenerative Medicine (CIRM) to advance its autologous ex vivo lentiviral gene therapy in ADA-SCID. In 2017, Orchard raised other $110 million in a Series B round of funding to further develop its pipeline in parallel with enhancing manufacturing capabilities. The ATMP portfolio acquired by Orchard includes Strimvelis – the first autologous ex vivo gene therapy approved by EMA in 2016 for children with adenosine deaminase severe combined immunodeficiency (ADA-SCID) – two late-stage clinical programmes in ongoing registrational studies for metachromatic leukodystrophy and Wiskott Aldrich syndrome, and one clinical programme for beta thalassaemia. All the projects were initially part of a collaboration agreement signed in 2010 between GSK and the Italian non-profit charity Telethon and research institution Tiget – Ospedale San Raffaele, Milan. Other three additional Tiget’s preclinical programmes on mucopolysaccharidosis type 1, chronic granulomatous disease and globoid cell leukodystrophy will be acquired by Orchard under exclusive license upon completion of clinical proof of concept studies. Telethon/Tiget maintains the intellectual property on the products, while Orchard shall secure the continued development of the programmes and access for patients. Orchard also acquired GSK’s collaboration agreement with Molmed, the Italian biopharmaceutical manufacturing site for all the programmes interested by the deal. What is clear from the above mentioned examples is that the business model of next-generation biopharmaceutical companies focusing on advanced therapies has to be dramatically different than the traditional one in order to be sustainable. It is not yet clear what the result of this transformation would be, but the first proposals are starting to emerge to boost the debate among the stakeholders in view to the identification of a consensus position. An example is the recent “Health Economic Impact Landscape Analysis of regenerative medicine advanced therapy” published by the ARM Foundation for Cell and Gene Medicine in collaboration with IQVIA. The report is based on a comprehensive review of published academic literature, health technology assessments and value frameworks related to the global health economic impact of ATMPs, with the final goal to provide a robust, “value-based” reference framework to measure and forecast the effect of breakthrough and potentially curative therapies on national and global healthcare economies. According to the report, the change of paradigm towards an increased adoption of advanced therapies requires to re-think inputs of economical models of market access in order to accurately define the value of the new products. These inputs have to be validated to become routine tools for the assessment of new technologies: a challenge for manufactures, that have to win the skepticism about high upfront costs of ATMP products compared to their yet unclear economical value. This sort of dynamic is clearly represented by the above mentioned NICE negative assessment of the Gilead’s CAR-T therapy. Suboptimal patients access and reimbursement schemes are other issues to be addressed. According to AMR and IQVIA, there are three different archetypes needing to be overcome, the strictly pharmaco-economic one (typical of UK, Canada and Brasil), the assessment of the clinical benefit in comparison to an authorised reference medicinal product (typical of the great part of European countries and Japan) and the “willingness-to-pay” approach typical of the US and China. A further barrier is represented by the high fragmentation of health technology assessment models and authorities across different countries, thus resulting in the possible divergence of results. The suggestion is that, together with compulsory clinical evidence of safety and efficacy, also data on the cost-benefit ratio and impact on budget expenditure might be provided by companies under the regulatory process. Industrial costs might be also better considered, while by now are generally not required. The analysis made by AMR and IQVIA identified a dozen indicators useful to better estimate the macro-economical framework and the fair value of ATMPs, and which are currently not considered in HTA analysis. They include a long-term period cost-efficacy evaluation, the redefinition of the value on the base of the curative nature of the therapies, the availability of patient-centred endpoints, including indirect costs and non-medical costs afforded by both patients and caregivers (e.g. loss of productivity or education, transports, home assistance, etc. ), new models for payment and the availability of real-world evidence. “Payments for performance” (P4P) is the suggested approach to better manage financial resources, as this model might win the skepticism of payers on the long term outcomes of the therapies. Annual installments of payments might also help to reduce the short-term impact on budgets (but not the long-term sustainability). Retrospective analysis, cohort observational studies and registries studies might also prove useful to acquire a better real-world evidence on the efficacy of ATMPs therapies.